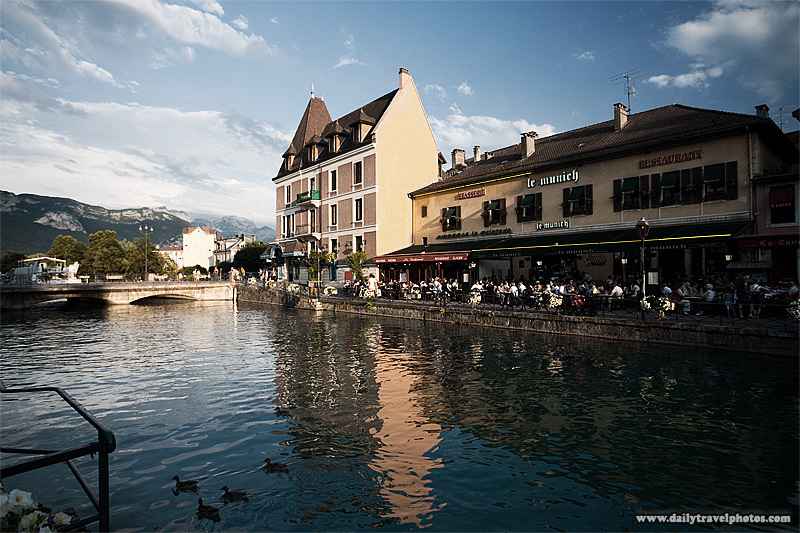 Tourists dine on the waterfront as the Annecy castle towers behind. It doesn't get more European than riverfront cafes! 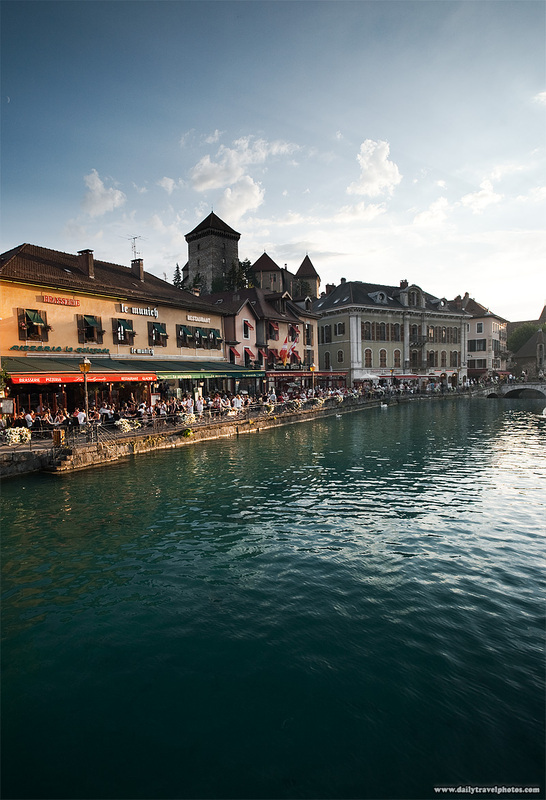 Waterfront restaurants line the canal as the Alps tower in the background.